The Ashdown Forest Home of Winnie-the-Pooh - close to our campsites. The Ashdown Forest and Winnie-the-Pooh connection comes from the fact that the forest was a source of inspiration. Many of the places that feature in the original Winnie-the-Pooh stories are real locations in the forest. 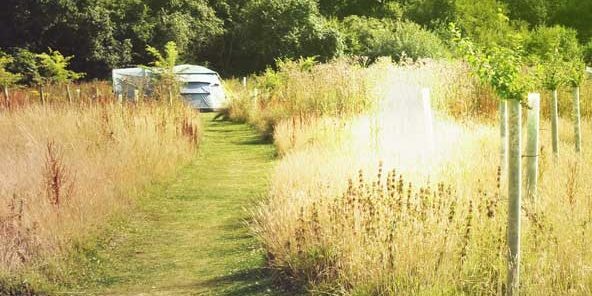 The Secret Campsites’ Wild Boar Wood campsite is the perfect spot to stay if you are interested in exploring the places associated with the stories. We are just a few miles from the Ashdown Forest and the campsite based in a woodland itself. 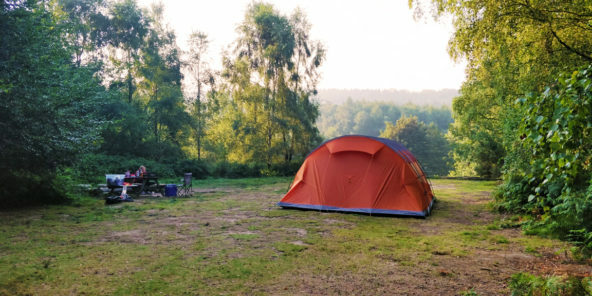 Alternatively The Secret Campsite Lewes is only 14 miles away and perfectly located for a day trip to Ashdown Forest if you are camping with us. The first Winnie-the-Pooh story was published in 1926. This was just a year after AA Milne, the author of the Winnie-the-Pooh stories bought a farmhouse in Hartfield on the outskirts of the Ashdown Forest. AA Milne said he based Pooh on a teddy bear belonging to his son, Christopher Robin, who also features in the stories. The other characters were based on other soft toys owned by Christopher Robin. The real places that inspired locations in the stories are identifiable by the descriptions and illustrations by EH Shepard. The names that AA Milne chose also tended to be similar to the real place names. These include the Hundred Acre Wood from the stories, which is Five Hundred Acre Wood in the Ashdown Forest. Galleon’s Leap in the stories which is Gill’s Lap in real life and more. You can also visit places which are identified as Eeyore’s Gloomy Place, Roo’s Sandy Pit and The Enchanted Place. 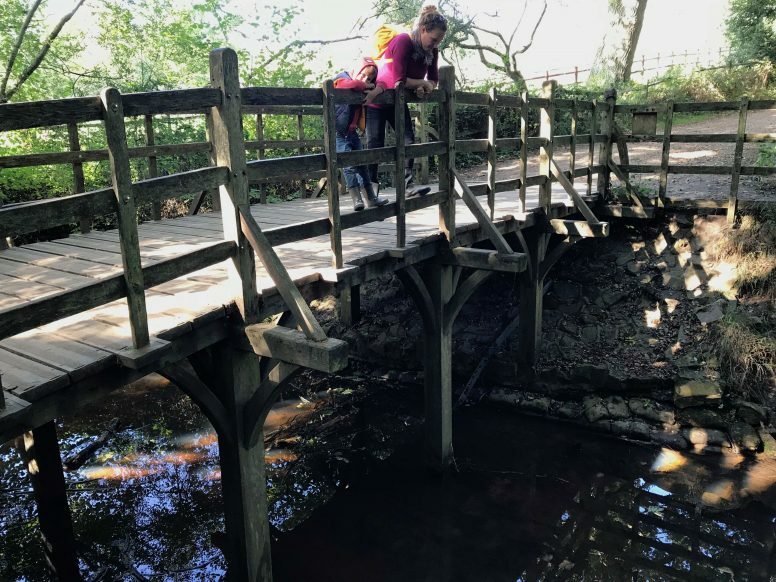 The best-known location is perhaps the Pooh Sticks Bridge. This is where Christopher Robin and Pooh played the game which is now popular all over the world. The bridge, which has been rebuilt to look like the bridge in the stories, is close to Cotchford Farm, the Ashdown Forest home of the Milne family. It is probably the most popular spot to visit in the forest. 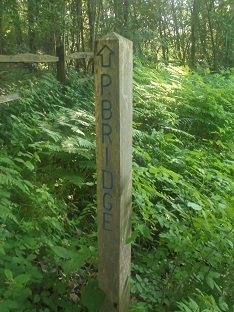 Visitors can park up in the closest car park and enjoy a walk of about a mile to the bridge itself. There is a subtle memorial to AA Milne and EH Shepard close to The Enchanted Place in the Ashdown Forest (see the walking map mentioned below for details of how to reach it). 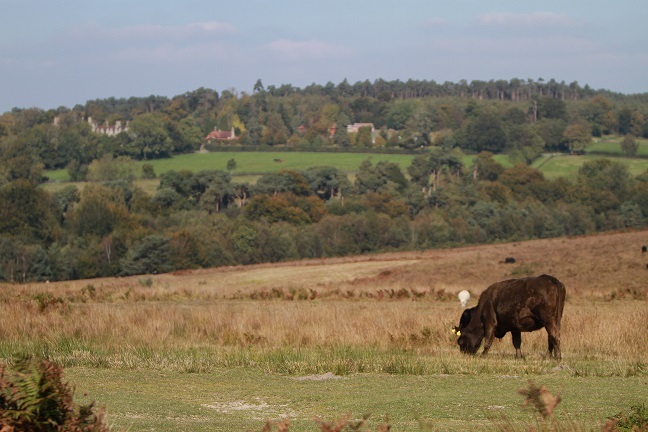 There is no charge for visiting any of the Ashdown Forest – Winnie-the-Pooh sites as the forest is the largest common access land in the south east. The Ashdown Forest conservation organisation has produced a walking map for a route that takes in some of the Ashdown Forest – Winnie-the-Pooh sites. Pooh fans may also like to visit Pooh Corner – a shop in Hartfield with a large collection of Pooh paraphernalia and the Piglit Tearoom. Book your stay at Wild Boar Wood Campsite to explore the Ashdown Forest – Winnie-the-Pooh sites.